Designer: Cover photography and image manipulation – David Scheinmann, Concept and hand – Scott Walker, Studio photography – Phil Knott, Art direction and design – Stylorouge. Notes: You might think this isn’t a particularly remarkable piece of design and you might be right. 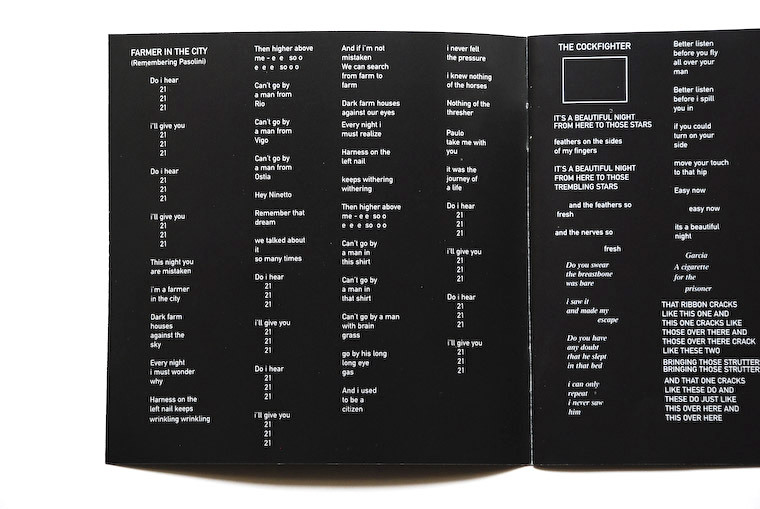 However, the layout of the words, the paring down of sentences into knotted clusters clearly reflects Scott Walker’s stripping away of surface to reach into the essence of experience/sensation/thought/impulse/feeling. (What is left at the end of that process is up to the listener to make sense of.) 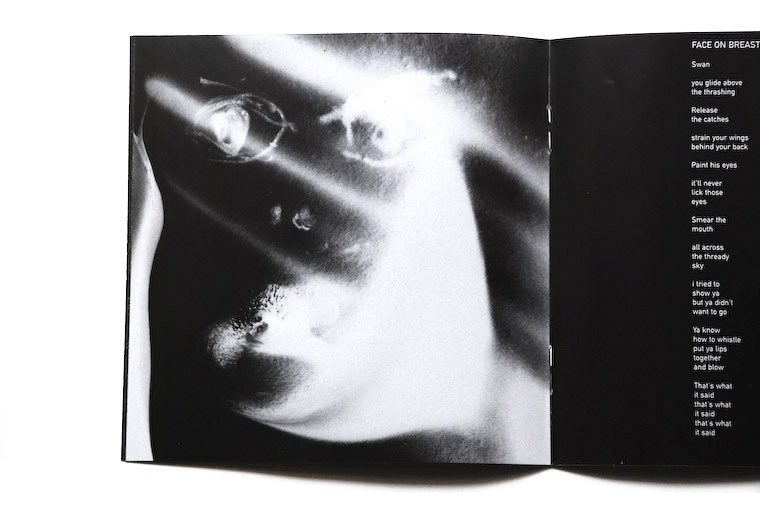 The main image – hands, feathers, the unblinking eye of an owl or hawk, the implication of darkness, perhaps desperation, flight – is tremendously visually intuitive when related to Tilt’s journeys, passages, angles, feelings. I even love the Fontana CD label with its burgundy red and gold, redolent of the labels of earlier periods. 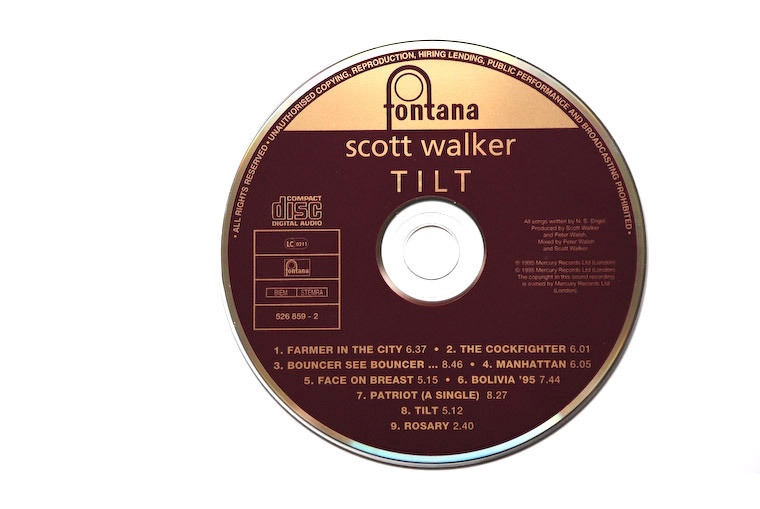 Scott Walker’s music and words are, in my opinion, some of the very greatest of the twentieth century. It’s with Tilt that visual design and music become nearly synonymous for me. How to separate them? I wonder whether it’s even necessary to contemplate, but it’s entirely relevant to the mission of Hard Format – Tilt wouldn’t be the same without these blurred images, these muted colours, this layout. I’m going to cover The Drift soon here. 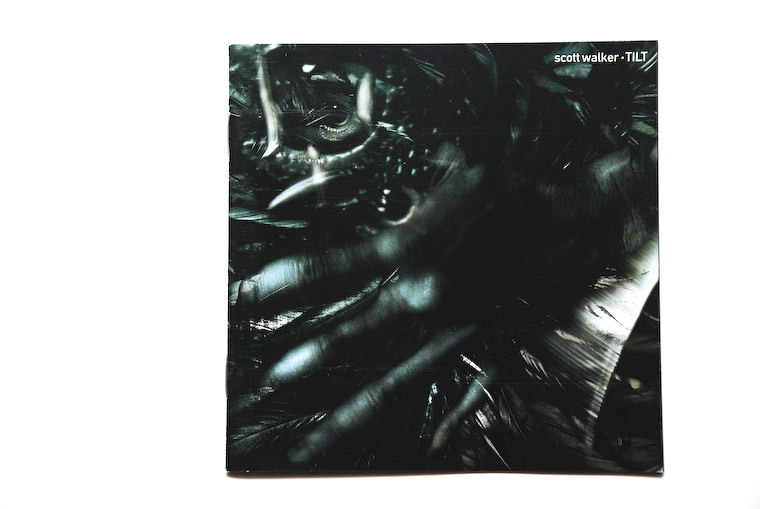 Vaughan Oliver’s design is an admirable counterpart to the dark horror of Scott Walker’s most recent recording. While I was writing this post, I wondered for the first time whether Tilt was ever released on vinyl. Turns out it was, in the US only on Drag City. Time to secure a copy. See also: Scott Walker – Who Shall Go To The Ball? And What Shall Go To The Ball? As a long time admirer of the site, i’d be happy to send some shots of the LP version to augment this post, if you’re interested. God, I hate jewel cases. It totally lets the design down, especially considering what beautiful objects The Drift, AWSGTTB, and Bish Bosch are. 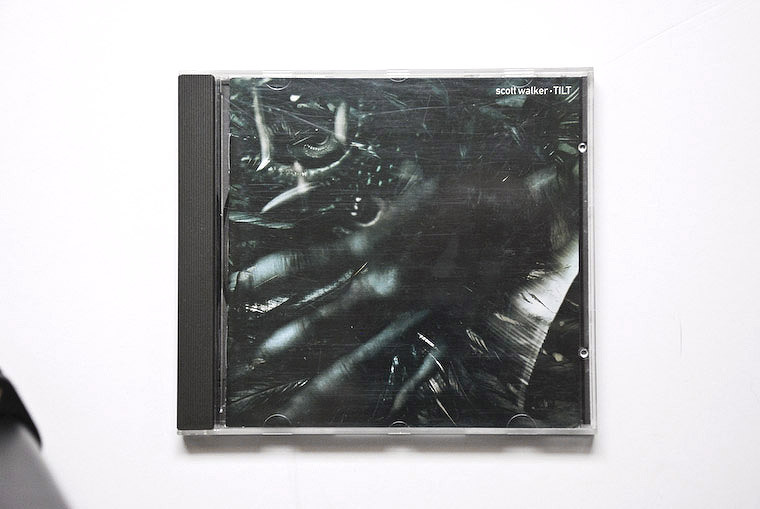 Actually, Bish Bosch DOES have a jewel case, but it’s a slick black plastic thing to match the sleeve, and it fits the black humour of the album perfectly. I almost wonder if there should some fancy display enclosure you could get, to keep the disc and paper parts of your favourite CDs in. Ever seen something like that?